Oil prices are on the rise for a bevy of reasons – soaring demand in emerging markets, the weak dollar, and a strengthening U.S. recovery, to name a few. Nigerians this month are voting for representatives to their national assembly and for governors of the country's 36 states, as well as their president. Past electoral cycles in this incredibly important African country have led to a lot of violence and disruptions in the global oil supply infrastructure. Violence during the last Nigerian election cycle, in 2007, led to attacks on oil and gas wells, processing plants and pipelines that halted the flow of 1 million barrels a day. A supply drop of that magnitude could take oil prices — already running at $110 a barrel – as high as $116, Andy Lipow, president of oil-trading adviser Lipow Oil Associates, told The Wall Street Journal. Nigeria twice postponed parliamentary elections this year due to failed logistics. And military and security agencies are being deployed nationwide after political rallies turned violent over the weekend. Separate bomb blasts ripped through a polling station and a collation center in northeastern Nigeria as the first of the country's elections got underway on Saturday. That follows a blast last month that ripped apart an oil facility run by a subsidiary of Eni S.pA. (NYSE ADR: E), the big Italian energy conglomerate. The Movement for the Emancipation of the Niger Delta (MEND) claimed responsibility for that attack, and promised more to come. Turmoil in Libya and Egypt obviously put a kink in the supply chain, but neither of those countries is as important to the United States as is Nigeria. That's because much of the 2.2 million barrels of oil a day that Nigeria pumps out of its offshore wells goes straight to the ports of New York and New Orleans – whereas Libyan oil mostly goes to Italy and France. More than 10% of U.S. oil imports come from Nigeria, including 980,000 barrels a day in January, according to the CIA World Fact Book. That makes Nigeria our fourth-largest supplier, after Canada, Saudi Arabia, and Mexico. The bottom line:Oil prices are now elevated due to the drop in Libyan production, fears of a constriction in excess oil supposedly available in Saudi Arabia, and stronger demand in emerging markets. But the world has not yet factored in any disruption in the flow of oil from Nigeria. If the situation in that African country intensifies as its elections move forward, you can expect oil prices to head at least north of $115 a barrel on the NYMEX from their current $110 level. 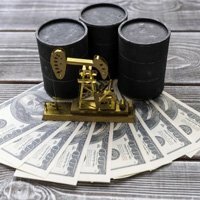 Investors can brace for the increase by investing in an exchange-traded fund (ETF) such as the SPDR S&P Oil & Gas Explorers & ProducersFund (NYSE: XOP) and theSPDR Oil & Gas Equipment & ServicesFund (NYSE: XES). You might also consider one of several energy positions I've recommended in the past, including: Baytex Energy Corp. (NYSE: BTE), Whiting Petroleum Corp. (NYSE: WLL) and National-Oilwell Varco Inc. (NYSE: NOV). You lot are completely off beam.